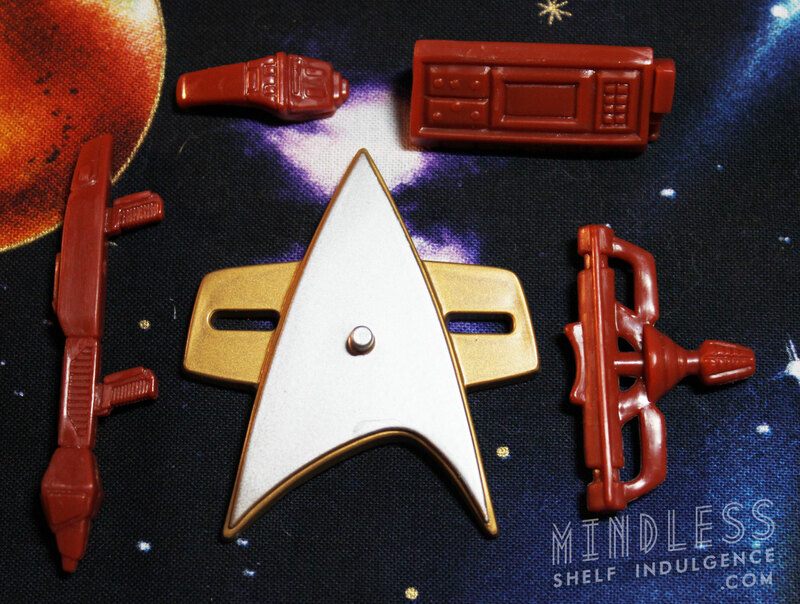 Commander Sisko is accompanied by a blank DS9 base, and reddish-brown (or grey) accessories. 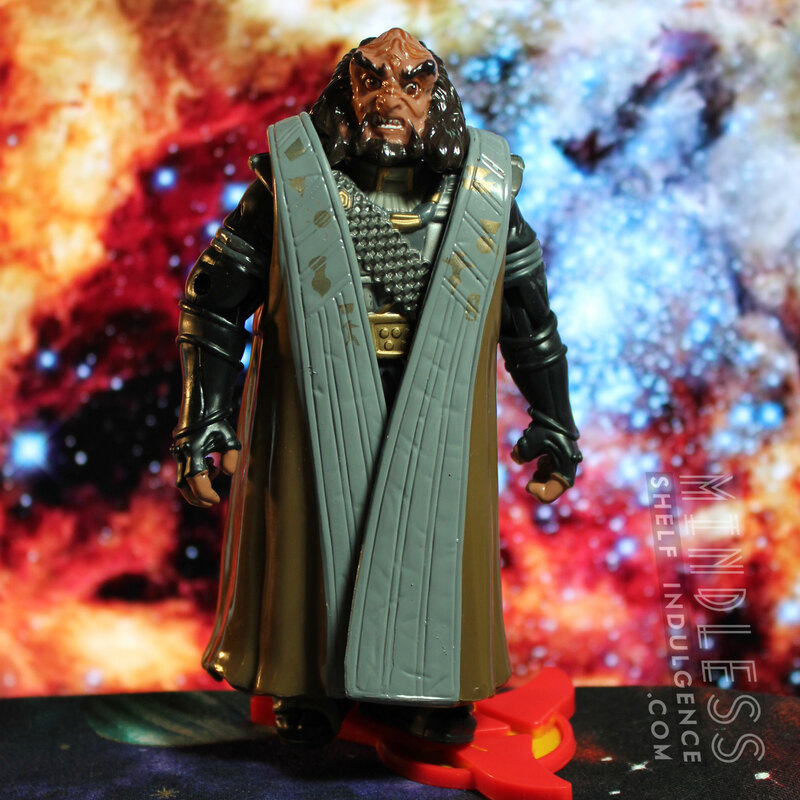 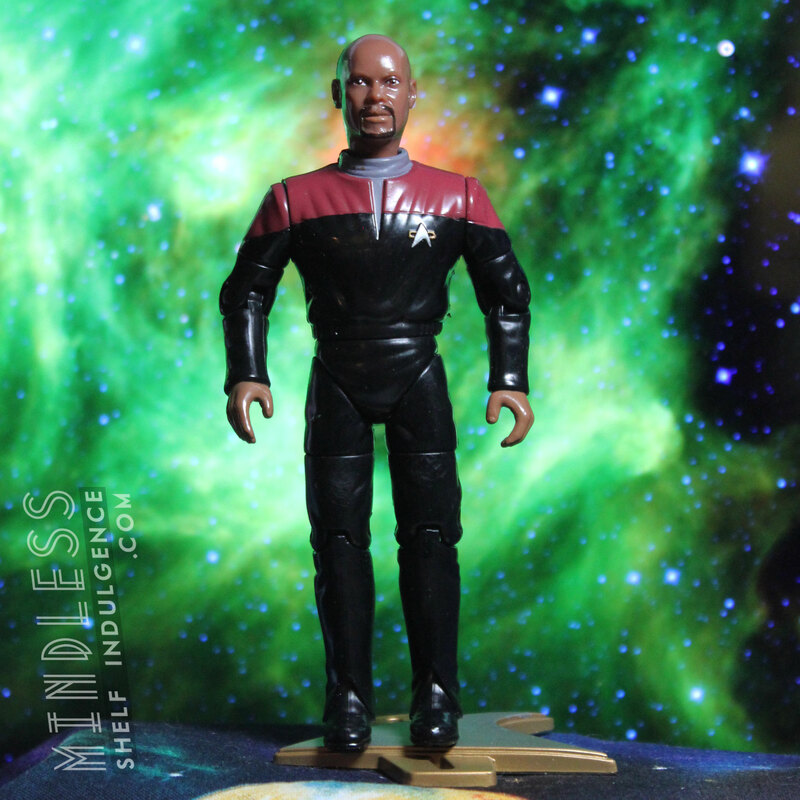 There were six 4.5″ Sisko figures released; one with hair from earlier seasons, one in formal wear, one “mirror” Sisko, one in a ’60s uniform, and Sisko as a Klingon. 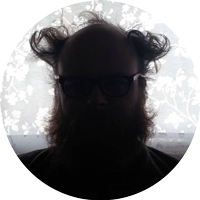 This later release is bald, so you know the story is getting pretty serious.